The illustrations on this page are provided courtesy of Worcestershire Medal Services Ltd. This section is not intended to give a definitive list of all British Honours and Awards, merely to illustrate the main awards which will be mentioned in the biographical pages. The highest award for gallantry in the face of the enemy, which can be awarded to members of the British and Commonwealth forces. It can be awarded to all ranks. CGC This award was introduced as a step to removing distinctions of rank in the award of decorations. It replace the DSO for gallantry as well as the GCM and the DCM. 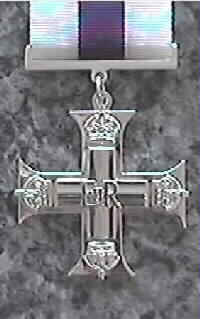 Originally intended to be awarded to officers below field rank for acts of gallantry not considered to warrant the VC. 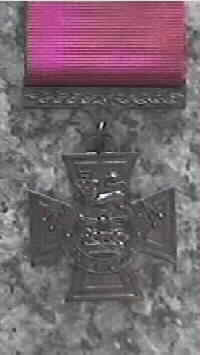 From 1993 it was to be awarded for 'Leadership' acts of gallantry being rewarded with the CGC. DSC Originally awarded to Naval officers below Lieutenant Commander ineligible for the award of the DSO. 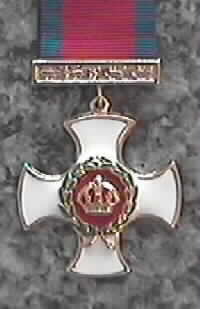 From 1993 ratings have also been eligible to receive this award. 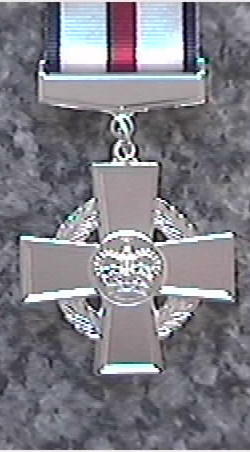 Awarded to junior Army officers and Warrant Officers, it could also be awarded to RAF officers whilst serving on the ground. 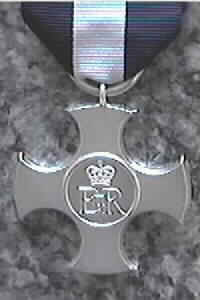 From 1993 all ranks have been eligible to receive this award. This was introduced to replace the MC for RAF officers after its formation in 1918. 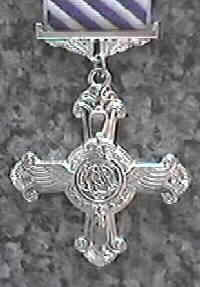 It is awarded for acts of gallantry in the face of the enemy. 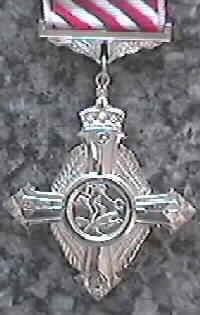 From 1993 all ranks have been eligible to receive this award. This was introduced to replace the MC for RAF officers after its formation in 1918. It is awarded for acts of gallantry in non operational spheres and for meritorious service on flying duties . 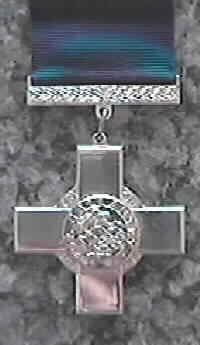 From 1993 all ranks have been eligible to receive this award.